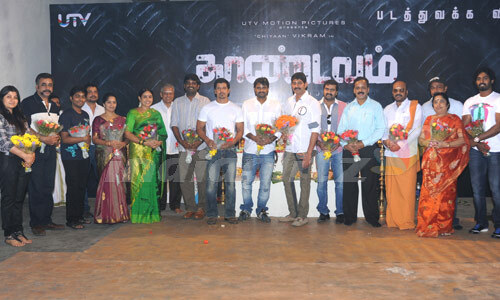 Chiyaan Vikram's next film after 'Rajapattai' is 'Thaandavam.' The film was flagged off with the unit in full attendance for the pooja that took place today. The AL Vijay film sees Vikram playing the lead with Amy Jackson as his heroine. The 'Deiva Thirumagal' team is all set to give a high adrenaline, action thriller film this time around. After the first photo shoot that will take place today, the top brass of 'Thaandavam' team will soon fly to US where the first schedule shoots will progress swiftly for nearly 50 days. 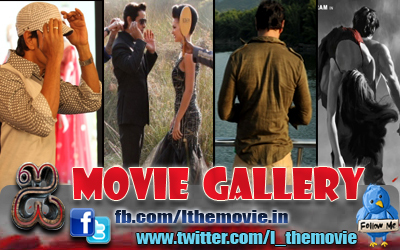 This film will see Chiyaan in an all-new avatar reveal some sources close to the unit of this film. With AL Vijay and Vikram helming the project, all can be in for a huge surprise. It will be GV Prakash's music for this film too. Vikram's 'Rajapattai' is touted to release sometime during the fag end of 2011, after which AL Vijay will reveal the background of his 'Thaandavam' reveal some in the industry. All we know for now is that this film belongs to the action-thriller genre. So we can be sure to witness some sparks-flying stunts, a dash of romance and of course some eye soothing locales all this and a good scripting.